For a bona fide taste of Japanese hospitality and cuisine, head to Little Tokyo (85 Bowen Street, Spring Hill). Little Tokyo is an authentic Japanese restaurant offering traditional Japanese meals that are cooked and prepared by Japanese chefs. The restaurant is a licensed venue that has had the same owners since it opened in 1966. The restaurant has two sections. 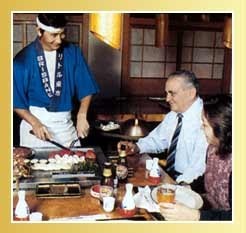 The Sukiyaki House provides a conventional Japanese dining experience. Guests must remove their shoes before entering, and eat their meals seated on Tatami mats at low tables. Sukiyaki (thin slices of beef with vegetables) and shabu shabu (chicken or beef with vegetables) are cooked at your table. 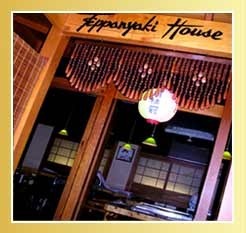 The Teppanyaki House is a more conventional Western restaurant with tables and chairs – although the Japanese food is no less genuine. Customers can pick from the menu or can enjoy teppanyaki cooking, where chefs prepare the food on a hot iron plate at your table. Little Tokyo is the only Queensland restaurant to ishiyaki, or burning stone cooking. Thinly sliced beef or seafood is cooked on a stone that has been heated for several hours, to give the meat a unique taste and a delicate texture. This restaurant also has an extensive sushi and sashimi selection.